We are extending invitations to our showroom to preview our extensive collection for party rentals. Walk-ins are accepted Monday-Friday 10:00AM-5:00PM. Please call ahead to schedule an appointment for wedding consultations on Saturdays! Note: Phone calls are preferred. If you are submitting through the contact us form, please provide as much detail as possible regarding your event. From tables and chairs to tents, linens, flooring and more, Personal Touch Party Rentals & Events is your complete party rental resource. We take pride in providing anything you need to get the party started, with pricing that’s fair and honest. We aim to exceed your expectations each and every time! Planning a party is a huge endeavor—especially when it comes to organizing all of the rentals you need to put an event together. At Personal Touch Party Rentals & Events, we try our best to make it easy for our customers to plan a great party, without any of the potential headaches and pitfalls. We stock a comprehensive range of party rentals in Ohio and take the time to work with all of our customers to ensure there are no loose ends or overlooked details in the party planning process. From birthdays to graduations, retirement parties to corporate events, trust us to supply you with rental items for any and all celebrations! 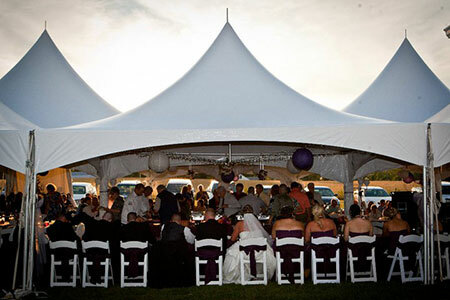 Like any party supply provider, we have all of the essentials on hand and ready to rent to you: including tables, chairs and tent rentals in Ohio. Unlike other party providers, however, we go beyond the basics to offer just about anything your celebration might demand! From sno-cone and cotton candy machines, to catering supplies and table settings, to drapery and linens, you won’t find a more complete selection of items to choose from. And, of course, everything we rent comes backed by a quality guarantee and the friendliest customer service in the industry. So, when your event calls for a tent, dance floor, portable bar, tables, chairs, linens, decor, accessories, drapes, backdrops and more, don’t hesitate to see how we can help! We’ve been a family-owned and –operated business since 2003! 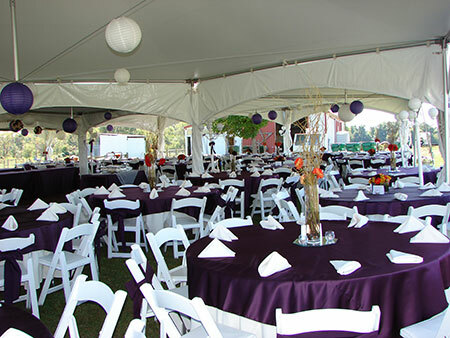 Our inventory of products can be rented for virtually any event, from weddings to graduation parties and beyond. We’re a Better Business Bureau (BBB) accredited company with a superior rating. We’re members of the American Rental Association (ARA). Our business is proud to contribute to the Fairfield County Chamber of Commerce and the Pickerington Chamber of Commerce. From tents to dance floors, linens to dishware and beyond, we’ve got everything and anything you might need to get the party started. Get in touch with us today for pricing!